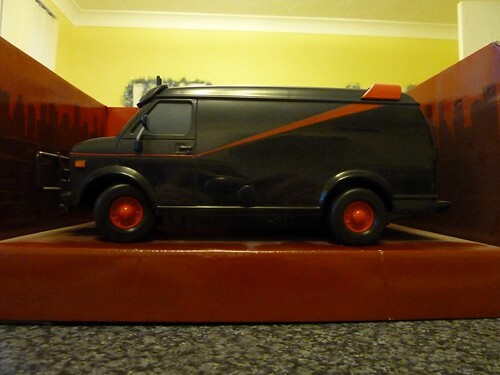 Just a quick post to show you a bargain I got. 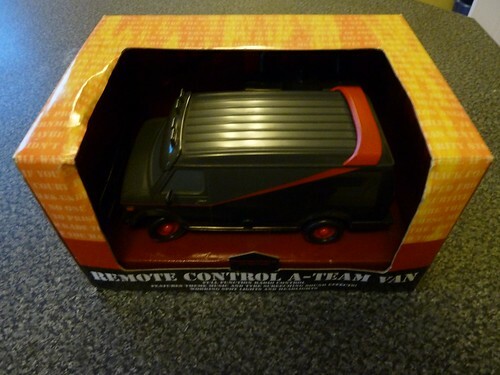 As some of you may know, I have a handful of remote control vehicles, for example the Millennium Falcon and the Delorean, Well this one is just another cheap toy for the collection. 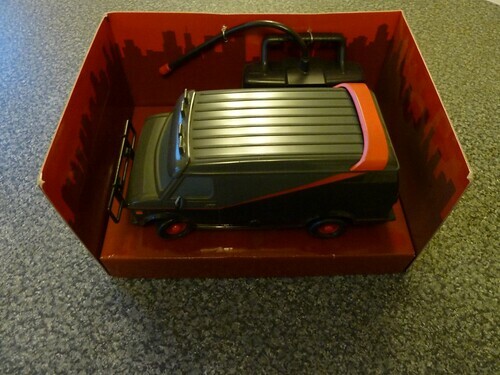 The description on the eBay site is ‘Fully functioning radio control van, featuring working lights and sound effects. 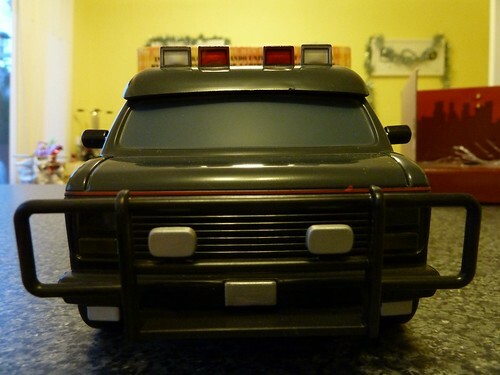 A team theme tune is activated by pressing a button on the handset, with illuminating spotlights, headlights and tyre screeching sound effect.’…..for £11 I couldn’t really pass it up. Well, it arrived yesterday and I’m pleasantly surprised. 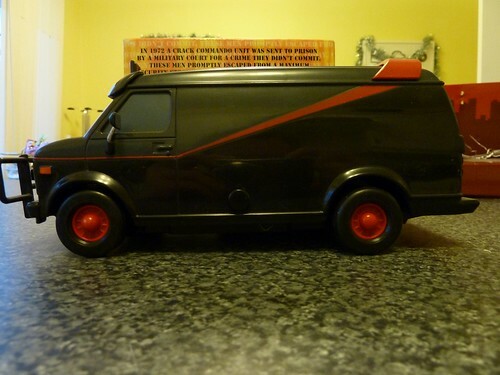 I have to admit, it does feel a bit cheap, but it drives well, and the A-Team tune did make me smile as I had it blearing out as I chased the cats around the room. 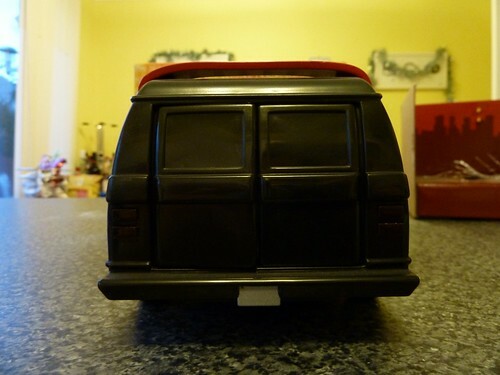 The speaker is in the back of the van, so if you want to hear it over the sound of the motor whining you will need to open up the back doors. 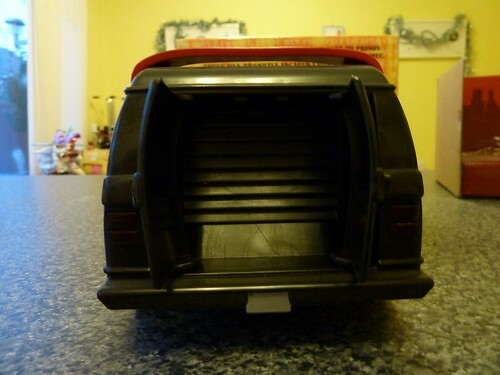 Again, the ‘tyre screeching sound effect’ made me smile, take a corner hard and you’ll get the screeching noise. 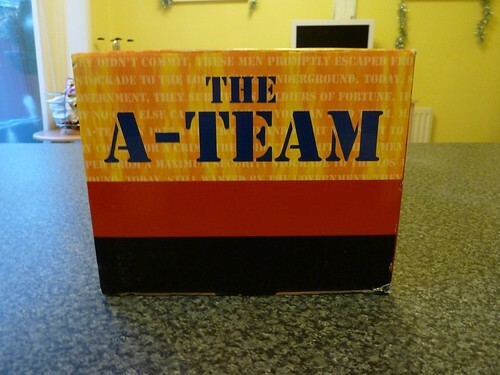 As always, unboxing photos below, and a video of the A-Team tune you get when you press the button on the controller.